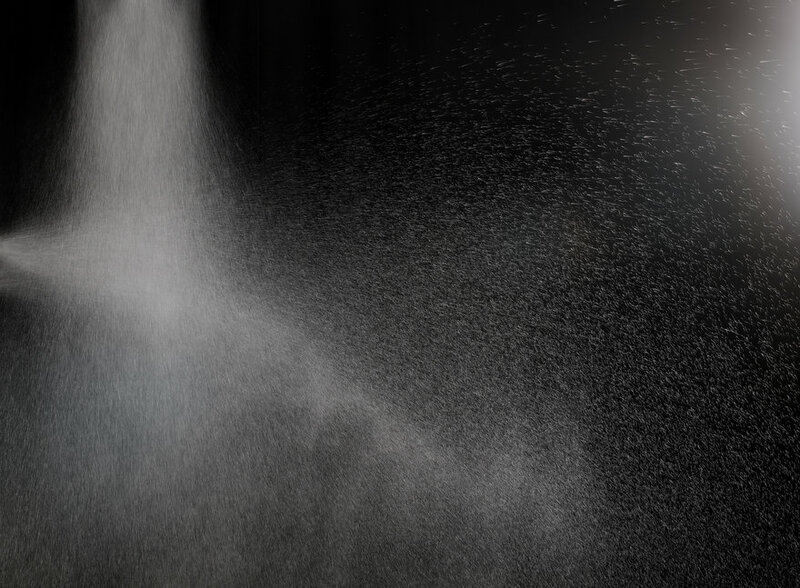 A team of Apple, Tesla, and NASA alumni are working to turn the stigma of the "low flow" shower on its head, one luxurious, well-engineered rinse at a time. After years of tough engineering challenges, the Nebia 2.0 is a feat of elegant industrial engineering that pulls inspiration from agricultural irrigation, office furniture, and fuel injection. California was in a drought—its worst in recorded history. And for much of 2014, Bret Recor had been trying to convince a Mexico City-based hardware team to show him a showerhead that they had designed to cut water use by as much as 85 percent. Now, he was finally sitting in a San Francisco hotel room, about to hop under a "very ugly industrial prototype" and take his first Nebia shower. Recor's design firm, Box Clever, soon became a close partner, and together, the two teams went on to earn more than $3 million in pledges on Kickstarter, acclaim for making a shower that feels like "hugging a warm cloud," and investments from Apple CEO Tim Cook and Google chairman Eric Schmidt—but not without some painful manufacturing lessons along the way. The Nebia design reimagined water-saving showerheads as a luxury experience that's already saved over a hundred million gallons of water. (To put that in perspective, an Olympic swimming pool is about one million gallons of water.) Now that they're back on Kickstarter with a second campaign and a new manufacturing and distribution partner, they think they could be on track to save a billion gallons by the end of 2021. Nebia first came to be when Philip Winter, who was working at an NGO that designed composting toilets, met Carlos Gomez Andonaegui, who was the CEO of a gym chain with high shower demand, in Mexico City. Carlos's father built the first prototypes for a water-saving showerhead that people would actually enjoy standing under, and Winter and Andonaegui soon relocated to San Francisco, where they brought on cofounder, CTO, and COO Gabriel Parisi-Amon, who had been working in manufacturing operations for Apple's iPhone team. "We had a shared passion for beautiful, well designed products, and also for making products that are better for the world," Parisi-Amon says. He was intrigued by the proposition of helping them realize what seemed like a long-shot dream. The first prototypes were very rough, Recor recalls. "The early ones used atomizing jets from industrial equipment, mounted to steel fixtures with off-the-shelf hoses to connect to the water supply. It was really crude, but I could see the potential. And whenever we're working through a design project, you have to not just look at what it is, but what it could be." Those ugly prototypes were expensive, too—just the nozzles cost about $500. "We knew that the technology, at the start, was going to be incredibly expensive," says Parisi-Amon. "I also knew that we could bring it down with time, money, and volume, but we needed to start off marketing it as a high-end product." The long road of prototypes Nebia and Box Clever worked through on the way to the Nebia 2.0. "Box Clever were incredible partners, really understanding what we were trying to do with the technology and the user requirements, but also understanding that our price point was going to come in high, so we needed to have a look, touch, and feel that matched that," says Parisi-Amon. Nebia recruited engineers from Tesla, NASA, and Applied Materials. 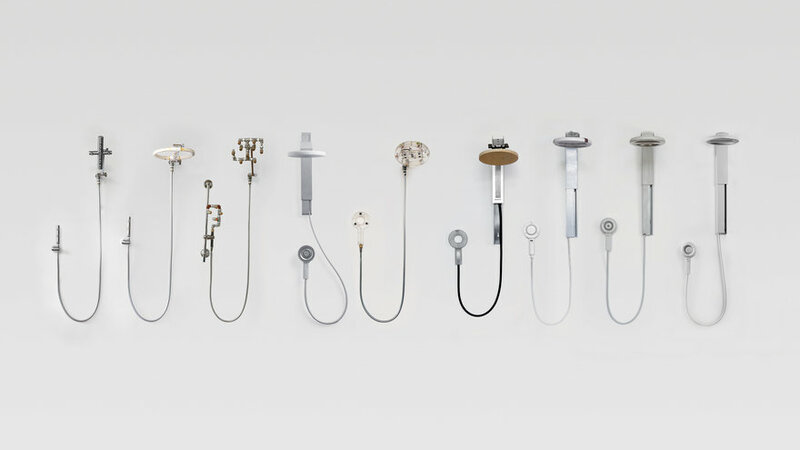 Box Clever helped them develop the signature halo-shaped showerhead, balance the head and wand articulation, and simplify the at-home installation process. "The water-saving mission is powerful, but I think we really helped Nebia take a step back and look at the storytelling aspect and stellar design that could make it an iconic object, something that's important when you're trying to convey a new, potentially highly impactful product," says Recor. "It has to be familiar and it has to kind of tie together with people's lifestyles." Nebia and Box Clever wanted to distance themselves from the stigma of wimpy low-flow showers. They often compare the Nebia experience to "being hugged by a warm cloud." Drawing inspiration from other industries, building it became "a project of many nevers"
"No one on our team had built a shower," Parisi-Amon says. "In some ways, I think that made our product what it is today. Almost every feature that people love is actually pulled from a different industry or has been designed from scratch. There are a couple things in the system that have just never been done before, period." They reappropriated the mechanics behind desktop monitor height adjusters, fuel injection nozzles, and agricultural irrigation. And unlike traditional bathroom appliance makers, they didn't tie themselves to industry norms for water use. "The idea of optionally using less than the maximum amount [of water] was just unheard of. Showers are made to get you to the maximum amount, right on the edge of EPA mandates. For us, it was like, 'Why would you do that?' We wanted to make the best possible experience with the least amount of water." "I called this a project of many nevers," says Recor. "I've done a lot of work in furniture, tech, and lighting, some really innovative material products,"—like the $100 OLPC (One Laptop Per Child) XOXO prototype that the Cooper Hewitt, Smithsonian Design Museum now has in its collection. "This project did remind me somewhat of the $100 laptop, where we were trying to use materials and processes that weren't typically used in the industry." While many manufacturers of even high-end bathroom appliances use steel or plated plastic, Nebia and Box Clever wanted to go with aluminum. "It makes this beautiful, sweeping arm that had just never been done before," says Parisi-Amon. "I talked to 40 aluminum extruders before I found one who was even willing to work with us. Then, to figure out how to do that, the real work started. So there were a bunch of challenges like that—many of which were absolutely worthwhile—that made the product.'" 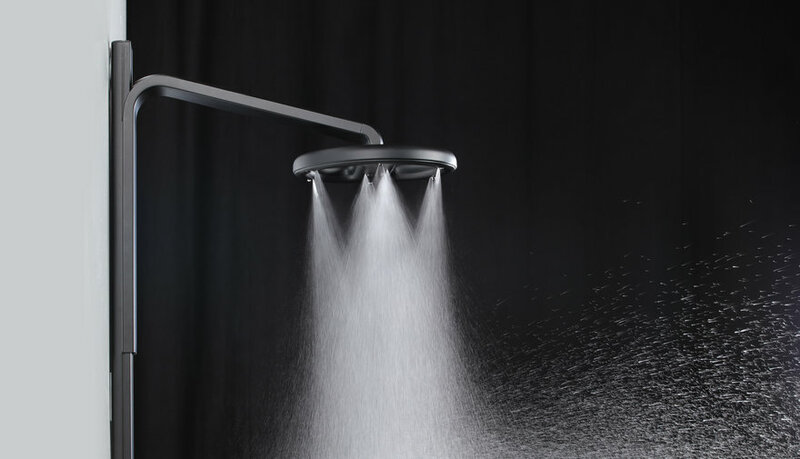 The Nebia 2.0 stands apart from other showers because it wasn't engineered like other showers. "The first Kickstarter campaign was hugely successful," says product engineer David Shulman. "People were really excited about a general form factor, but now we now had to turn that into an actual product that functions and has all of the promises from our campaign." Shulman is used to tough work environments; his last job was at Tesla. "Obviously the product at Tesla is a lot more complex, but the big difference coming here was that there was no product yet," he explains. 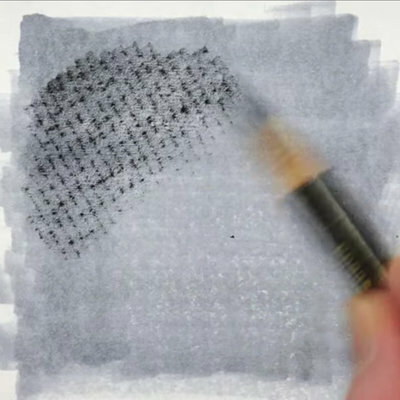 "We had to take an idea that had never really been done and bring it to fruition. It was a lot of testing nozzle arrays and configurations and flow rates and pressures and seeing what's the absolute best experience we can give to the people we've promised this to, doing it all on this self-imposed deadline that was just breakneck." Nebia and Box Clever's prototypes kept getting more ambitious as they neared production. 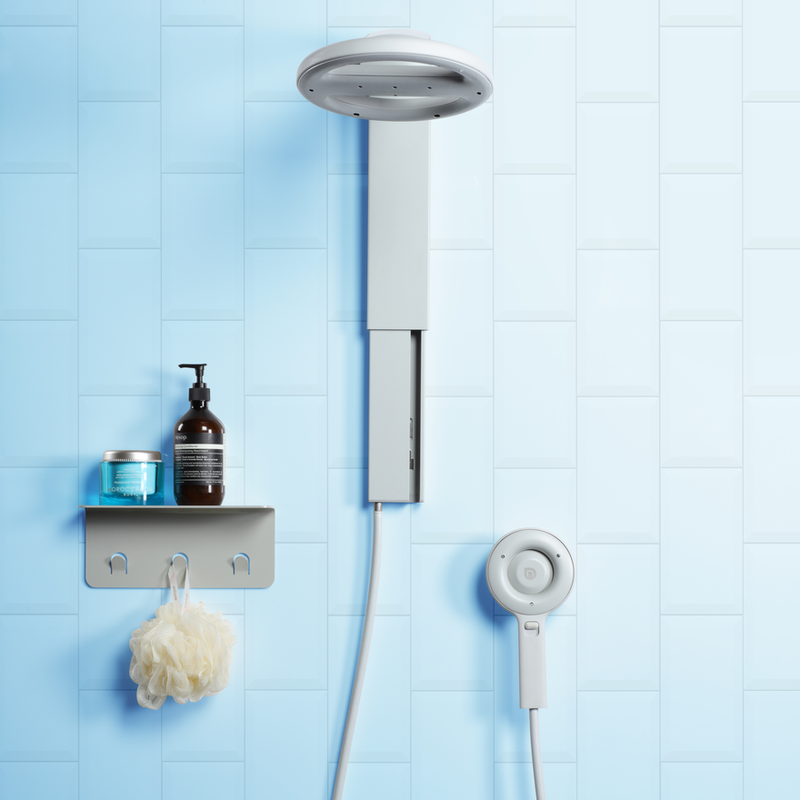 Even after the Kickstarter campaign ended, they kept tinkering with features—such as the shower's adjustable magnetic wand—that would eventually become core to their product. "We allowed some feature creep," Parisi-Amon concedes, "but we were trying to deliver a great experience." The biggest hurdle was in manufacturing. At the eleventh hour, a few cosmetic elements of the shower came out wrong. 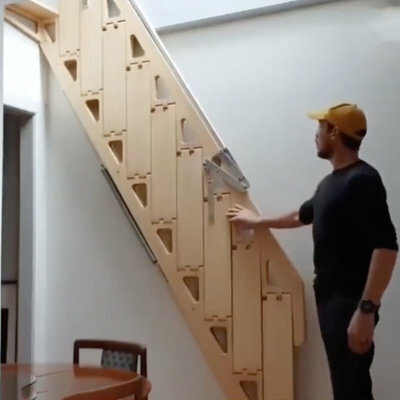 "We just went a little too close to the edge of what was possible physically and mechanically to get the design and the experience that we wanted," says Parisi-Amon. "Then we had to spend a lot of money to fix not just that one part, but all the parts around it." The minor issue ended up costing hundreds of thousands of dollars, and added several months to their production timeline. This might have been an instance of experience working against them. Parisi-Amon, coming off of manufacturing the iPhone 6s, was well versed in overseeing manufacturing plans and the inevitable snafus—on an Apple budget. Leading up to manufacturing, he doggedly pursued partnerships with more than 100 parts makers and manufacturers, understanding he'd have to work much harder as a startup to win contracts. But when Nebia's production hit a snag, he really felt the pain of trying to set plans right without Apple's clout and coffers. "As a startup it's a lot more… I don't want to say 'begging and pleading,' but there's plenty of convincing," Parisi-Amon says. The delays were a painful lesson, but backers got their Nebia showers, with the promised features and then some, in 2017. As the team developed its next iteration—live on Kickstarter now—smoother manufacturing processes and wider environmental impact were top of mind. Those goals inspired a partnership with Moen that Parisi-Amon says puts them on track to save a billion gallons of water by the end of 2021. The established bathroom fixtures maker will help them negotiate major distribution deals—and avoid any more "projects of many nevers" in future manufacturing. Though the latest version of the Nebia showerhead looks quite similar to the original iconic design, it is compatible with a wider variety of home shower pressures, gets warmer, and, though water savings dropped from 70 to 65 percent with this release, the team is excited to report that manufacturing is now set for much smoother sailing. "Having a partnership with someone who has this experience, we're able to ask questions about material choices or about how to build something, and they have answers, not just from their gut, but from doing it for the last 20 years," says Parisi-Amon. "It's really incredible being able to sit down across the table from people who share your passion in terms of products and have been in this industry for so long. "We want to eventually make a product that can reach everyone; our roadmap is to take this technology and continue to make it more accessible." Nebia is live on Kickstarter through March 14, 2019. Bringing creative ideas to life. I could see Cary Hustwatt making a 15 minute documentary walking us through the design evolution. The prototypes on the wall teach civilians a lot about product design and development. For years, moving around apartments, I brought along my little, but heavy, brass "Needle Shower". Who would have though that water conservation would lead to masochism. Nebia introduces a whole new way of thinking and demonstrates the power of a very diverse, wide-visioned team. 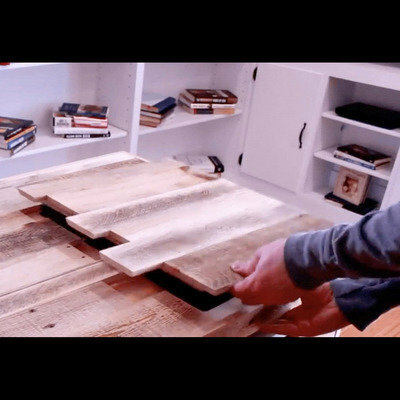 …made from reclaimed pallet wood, but without that "pallet wood look"